Led by Stephen Hauser, MD, the UCSF Weill Institute leverages UCSF’s unrivaled bench-to-bedside excellence in the neurosciences. It unites three UCSF departments - Neurology, Psychiatry and Neurological Surgery - that are highly esteemed for both patient care and research as well as the Neuroscience Graduate Program, a cross-disciplinary alliance of nearly 100 UCSF faculty members from 17 basic-science and clinical departments, which awards doctoral degrees in a variety of research areas. Also included is the UCSF Institute for Neurodegenerative Diseases, a multidisciplinary research center focused on finding effective treatments for Alzheimer’s disease, frontotemporal dementia, Parkinson’s disease, and other neurodegenerative disorders. By bringing basic research in psychiatry into the fold of the neurosciences, the UCSF Weill Institute will be especially impactful. This new vision promises to transform mental health, where there has been so little progress for so many decades. UCSF's neurology and neurosurgery departments consistently receive the most biomedical research funding from the National Institutes of Health. The Neuroscience Graduate Program ranks among the top five in the nation, according to U.S. News & World Report. UCSF Health's neurology, neurosurgery and psychiatry programs rank among the best in the nation, according to U.S. News & World Report. The Weills' gift will drive innovation by supporting young faculty investigators and graduate students, and funding high-risk, high-reward research. It also will bolster recruitment of the best and brightest faculty and students. 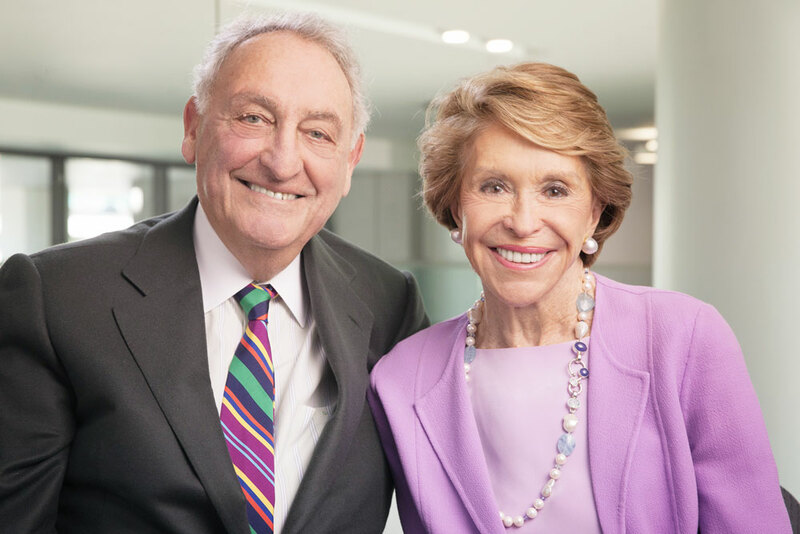 Joan and Sandy Weill are prolific philanthropists who have made nearly $1 billion in gifts to educational and cultural institutions, most notably $600 million to Cornell University, Sandy's alma mater. Over the course of a four-decade career as a banker and financier, Sandy served as president of American Express, and chairman and CEO of Citigroup. Joan is chair emerita for the Alvin Ailey American Dance Theater, having served in the role for 14 years. The company’s theater is named in her honor. Lifelong residents of the East Coast, the Weills recently established a seasonal residence in Northern California, and the new gift to UCSF reflects an interest in expanding their philanthropic contributions to support excellence on both coasts. To foster ties between the Weills’ East and West Coast interests, the UCSF Weill Institute and Weill Cornell Medicine will hold annual conferences to jointly highlight discoveries and treatments between the two institutions. The Weills’ support will allow us to dramatically expand our efforts to recruit and retain the very best basic scientists who are devoted to unlocking the secrets of neurologic illness and transforming our ability to treat and cure these conditions.